Tweak says, "One In A Million Chance." Below is information about the "The Taariq" asylum on InsaneJournal. To join this asylum, click here. You may leave the asylum at any time. The year is 2794. Mankind has found the key to the stars and the bounty space brings. If you have the technology and you have the courage to venture where the map has not yet been filled in there could be such treasures to discover, or horrors beyond anything you could fathom. Space ships are common, almost a third of the population own their own. Numerous planets and moons have been conquered and humans inhabit all quarters of their known universe. Alien species have been discovered but none with more intelligence than Earth’s great ape. Money is still the driving force of life. If you have it, you’re in control. There are always people who want to steal that control. People who want to take what is yours. Then there are those who are controlled. Huge companies control the lives of billions of people. Regulations of how these employees are treated are very loosely enforced giving some people the chance to make quantities of money that would turn you sick whilst paying the miners and workers just barely enough to keep alive. But these companies are the driving force of the human race. Helping mankind to expand its territory and tighten its grip on resources. With each new asteroid belt discovered, each new planet with useful minerals or gasses, there is a race to be the first one to mark its claim on the newly found heavenly body. Some sent out probes years ago hoping for the marker to land on somewhere of use. Most didn’t, but in a time where an entire planet can be owned by one individual there is always something someone can do with a planet. A prison colony, a holiday home and vacation location even a nature reserve, all can become money makers if marketed properly. Some of these companies also employ private companies or ships to do their work so as not to attract the attention of rival companies to their new discovery. 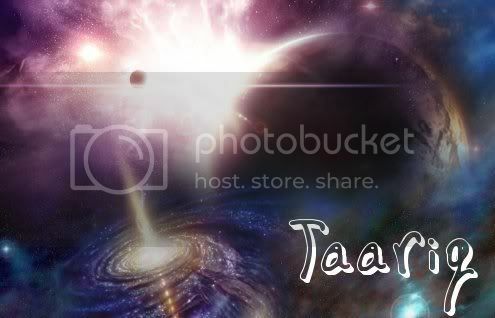 One such company is a single ship called the Taariq. Our journey begins with the Taariq on a conquering mission in a newly discovered asteroid belt searching for viable and useful minerals found in the asteroids. The belt is about six month’s journey of no other human settlements, of course there are always some ships around but basically there is no one else out there except for Captain McKenzie-Malone’s ship. There mission now is over and they’re heading back. Her little crew of discoverers and manual laborers. However, they’re satisfactory job is distracted by the discovery of a drifting ship nearby. Completely off course and in a dire state on the point of exploding at any given moment it has already started to attract pirates and scavenger ships. Some of the escape pods unfortunately were sent towards the asteroid belt and most of the crew and traveling guests have been killed. Now there is just one last escape pod waiting to detach and the Taariq is on hand to pick any survivors up. So are you a survivor of Sophia74xa3Z? Or are you a member of the Taariq’s crew less than happy to have to share supplies for the next six month’s? Either way: your journey has only just begun and you will learn that patience is a virtue and parlor games a life savior. A very large supply of alcohol is also a good thing. Got any questions? Fill free to contact the mod at ohappyone96@googlemail.com and we'll get the answers to you as quickly as possible.